Do we live in a computer simulation? Elon Musk, CEO of SpaceX, thinks so; or at least, he thinks it’s more likely than not. (1) Consciousness is the result of information processing at the level of the brain. (2) Future civilizations will create simulations of the past in the same way we create simulations of the Sims. (3) Simulated universes outnumber actual universes. (4) Therefore, we are far more likely living in a simulated universe than an actual universe. Musk added that he has contemplated the simulation argument so much that he and his brother agreed to ban discussion of the topic while in his hot tub. There are a few reasons why the purported argument might not be as sound as Musk suggests. To start, the argument is based upon the contentious assumption that consciousness is a computational program that can be downloaded onto a computer hard drive. However, there are multiple theories of consciousness on the table, which suggest consciousness is more than just information processing. And if there is more to consciousness than information processing, then the analogy of the mind as a computer program that can be downloaded onto a computer hard drive breaks down. In addition, the argument assumes human beings will be able to reach a level of technological sophistication without first self-destructing. 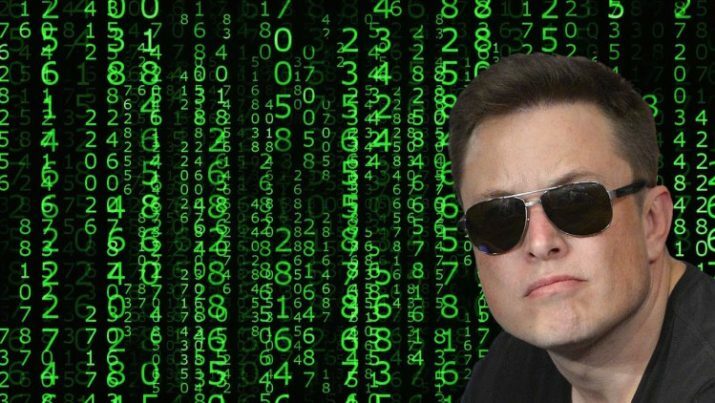 According to Musk’s own remarks, however, video game simulations that are indistinguishable from reality might not be feasible for another 10,000 years, which is more than enough time for humanity to bring about its own demise. Finally, the argument assumes there is only one, finite universe. Yet theories of inflation suggest the universe is infinite, and if the universe is infinite, then there are an infinite number of advanced civilizations. And if we take multiple universe theories seriously, then there may be an infinite number of infinite universes with an infinite number of civilizations. And if there are an infinite number of infinite universes with an infinite number of civilizations, then we are no more likely living in a simulated universe than an actual universe. The simulation argument is a highly contentious issue in philosophy. While the quarrel has yet to be settled, the noted objections illustrate the argument is not nearly as convincing as Musk suggests, meaning he and his brother can rest a little easier in their simulated hot tub.